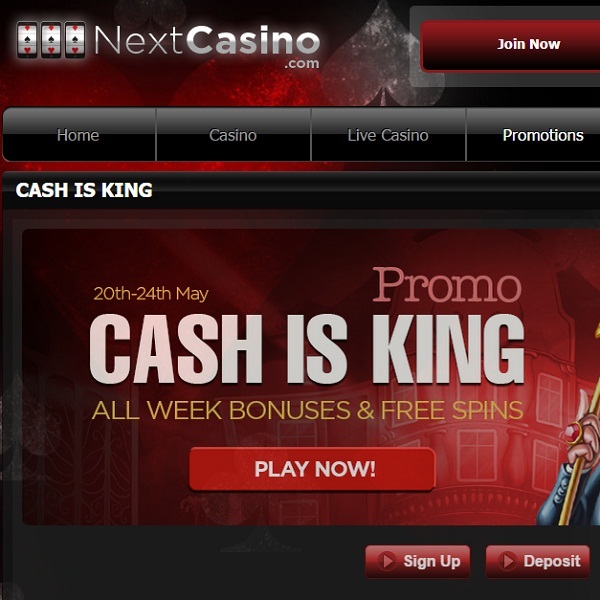 Over the next few days there are some fantastic offers to take advantage of at Next Casino thanks to its Cash is King promotion. On Friday players at the casino have the chance to receive 20 free spins on Gonzo’s Quest. Simply spin the reels 100 times and you’ll receive the free spins the next day. Then on Saturday if you make a deposit using the bonus code ‘CASHISKING’ you will get a 30% bonus of up to €100. Best of all, the same offer is available again on Sunday. This means that the casino is offering all its members bonus cash of up to €200 and 20 free spins on Gonzo’s Quest. Be sure not to miss out on this fantastic opportunity, head over to Next Casino today and start enjoying all the games on offer.